We’re talking about Guardianships in this elder law report, because much of this week I’ve been involved in Guardianship hearings. Guardianships can be very contentious. The situations that surround Guardianships can tear families apart. The hearings I was involved in this week were almost cathartic. Getting some of the bad blood out during the hearing, allowed for some healing to take place, but the hearings were still stressful. They’re not just stressful for me, they’re stressful for the family involved. It’s best that you avoid Guardianships, but this is about clarifying the Guardianship process for you. There are three types of Guardianship. Guardian of the Estate. This is Guardianship over money and legal matters. Guardian of the Person. This is Guardianship over healthcare decisions. General Guardianship. This is for both legal, financial and personal decisions such as healthcare. In a Guardianship hearing, with someone in the family who is incompetent or incapacitated, the money is frozen and healthcare decisions cannot be made until someone is appointed to oversee those matters. You can avoid Guardianships by appointing a trusted family member or someone else you trust to be your Attorney-In-Fact, an Agent of you, through a document called a General Durable Power of Attorney. This document is general because it covers everything from real estate to bank accounts, and any legal or financial matters where someone else takes care of that for you. With personal healthcare matters, you are appointing a healthcare agent through a document called a Healthcare Power of Attorney. Having someone on the bench ready to take over if you become incompetent or incapacitated is essential for peace of mind. You can appoint a primary and a secondary in case the primary becomes unable to act on your behalf. You can make them act together so they both know what each other is doing, for example, with mom and dad’s money. Powers of Attorney are powerful if you want to avoid those contentious, gut-wrenching, family destroying situations surrounding Guardianships and Guardianship hearings. Now, I don’t want to diminish the importance of Guardianships. They are very important. There are situations where a Guardian needs to be appointed, even a public Guardian. They will come in and take control of assets and healthcare decisions because a family member (or someone else) is taking advantage of an incompetent or incapacitated family member. The court system is there to provide an avenue where a Guardian can be appointed and clamp down and stop that. A clerk or a judge can put a stop to that by appointing a Guardian and enforce penalties to put a stop to any form of abuse, such as elder abuse or financial abuse. These are very important and it’s something we deal with at Guardianship hearings. However, in most cases, you can prevent those from occurring by simply having your foundational documents (General Durable Power of Attorney and Healthcare Power of Attorney) in place ahead of time. I often see people come to my office in dire straits. They’re willing to do some planning to activate a healthcare benefit, they may need to activate a Medicaid benefit to pay for nursing home care, or a veteran’s benefit, such as Aid and Attendance Pension benefit to pay for assisted living care. But if you don’t have these Powers of Attorney in place, it can be near impossible, or very difficult to get those benefits to pay for long-term care. It is so simple and important to have these documents in place. With Guardianships, sometimes those options can still be explored, but to do that, you must make a petition to the courts. This is usually done through an attorney, but you must do that every time you need something. You must explain and sell to the court that it’s a good idea to use this benefit or change the assets. The courts are reluctant to use those assets when someone needs them for their care. If you want to avoid Guardianships, protect your assets and plan ahead, contact me, Greg McIntyre at 704-259-7040 and set up a General Durable Power of Attorney and Healthcare Power of Attorney. 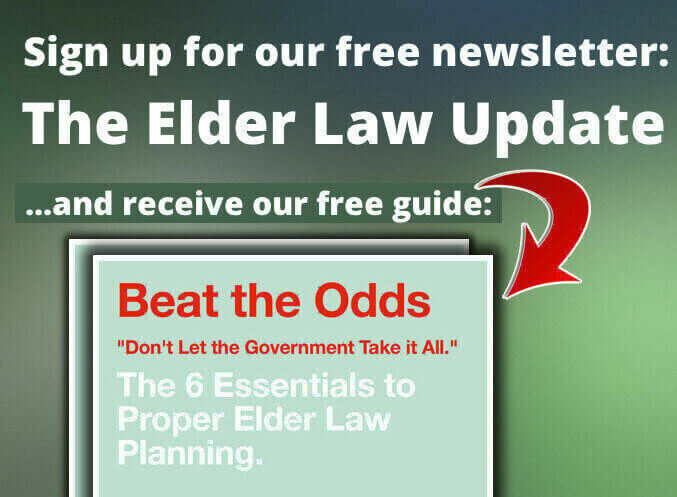 The elder law report can be seen every week on Friday at 10am. Next week we will be talking about Deed Planning, so tune in. If you have questions about Guardianships, call me, Greg McIntyre and schedule a consult at 704-998-5800 for Charlotte, or 704-259-7040 for Shelby, or visit our website mcelderlaw.com and we will do what we can to help you. The Untold Benefits of Estate Planning REAL TALK WARNING! Most of the benefits of estate planning are pretty obvious. People go to an estate planning attorney because they want to determine how their property will pass after their death. What is not obvious, however, is the residual benefits of the estate planning process. Namely, the reflection on one’s life, the consideration of one’s death, and the contemplation of the future. Someone once told me a story about their estate planning process that resonated with me. She and her husband worked hard, earned a decent living, and achieved a ripe age. Up to that point, they had never put anything into place, no powers of attorney, no living will, not even a will. They finally decided to have an attorney help them with their plan and they got all the necessary documents in place. Sadly, not long after, the husband suddenly passed away. The unexpected illness and abrupt death of her husband was, no doubt, very difficult for the wife as she made decisions for her husband. However, she was able to make these decisions with peace of mind because they had sat down and made their plan beforehand. The main thing I took from this story was the fact that the planning process arms you with an important tool, knowledge. The thing about estate planning is that it forces you to confront your own mortality. It makes you consider what you value, who you value, and how you want to be remembered. In turn, your loved ones will have the necessary knowledge to make the appropriate decisions without struggling with ambivalence while mourning your death. For example, the woman above was presented with the difficult choice of determining whether to take her husband off of life support. This is the sort of choice that is not ever easy to make no matter how much you plan ahead. Nonetheless, she made her choice and her mind is at peace because they had the opportunity to have the difficult conversation and convey their wishes to each other anything happened. The lesson I have learned from her story and stories like hers is that planning is important and there is no time like the present. Death is inevitable but seldom predictable. You can be healthy one day and struggling for life the next. The only guarantee is that one day you will meet your end, you just don’t get to know when that will be. So, have the difficult conversation, face the void –if only for a bit—and make a plan so that your loved ones don’t have to bear the burden themselves. Medicaid can be a scary time for families. If someone needs Medicaid it’s likely they’re searching for help with Long Term Care, Nursing Home or Assisted Living Care and how to save their hard-earned money and property while doing so. They are hoping Medicaid will step in and help pay for these things. There are a lot of rules surrounding this process. One area of concern is look back periods. What are look back periods? Let’s say you are applying for benefits today. A look back period is the area of time Medicaid will examine all your financial history. For VA and Assisted Living Facilities they’re going to look back three years into your financial history. For Nursing Homes, Skilled Nursing Facilities or Long-Term Care Medicaid it will be a five year look back. If we put in a Medicaid application today, Medicaid will look back at all your bank statements, all property (real estate) transfers (for the three to five year period) and make sure all the transactions were done correctly under the spend down rules. Let’s say, (within a three year look back), you put a Ladybird Deed on your home one year ago, that would be acceptable because under Medicaid policy they allow you to do that. It is also okay under VA Pension Benefits because they allow you to have a home and two acres before they start to count value. They are going to see this and say, we’re okay with that because that’s our policy. So, you can protect that home, get the benefit and they know they cannot back collect that home. (Ladybird Deeds protect the home and surrounding property up to about $550,000). If you had transferred out-right (that is deeded your house to another person or a trust) three and half years ago, (and we were going for Assisted Living Medicaid with a three look back period), you would also be okay because it’s outside the look back period. This could also have been a money or wealth transfer. However, Nursing Home Care has a five year look back period. If we stick with the above example and you transferred your house within the five year look back period, it must conform with the spend down rules, otherwise it will be flagged. Remember, if you don’t transfer things correctly according to the spend down rules, you can find yourself in a lot of trouble and heartache. The penalty for working outside the rules can be either a penalty period, so within that time frame you would need to put the money back, or sacrifice the home when that person passes away because of the Medicaid lien, or you would have the person in need denied the benefits altogether. We can help you in this process using Medicaid Planning and Asset Protection, Medicaid Activation and also Veteran’s Pension Benefits and Disability. If you have questions about Spend Downs, call me, Greg McIntyre and schedule a consult at 704-998-5800 for Charlotte, or 704-259-7040 for Shelby, or visit our website mcelderlaw.com and we will do what we can to help you. Here at McIntyre Elder Law we handle a lot of testamentary gifts, be it through a will or trust. And, a question we get all the time is “will I or my heirs have to pay estate or gift taxes?” The answer is usually “no”. To be honest, there are currently very few individuals who walk through the door who will have to worry about estate or gift taxes. But that will likely change in the near future. The estate tax has deep and ancient roots. The concept of taxing the transfer of property at death can date itself back to ancient Egypt. Thus, our American forefathers were not creating anything new when they enacted the first estate tax in the US through the Stamp Act of 1797. Since that time, the estate tax has had a tumultuous history. After the repeal of the Stamp Act in 1802, the US did not see an estate tax until 1862, when Congress enacted the 1862 Tax Act to help fund the Civil War. But, the estate tax provision of the act was soon repealed after the war. Finally, the modern estate tax was enacted in 1916. Since then, the estate tax base—the amount subject to tax—and rates—the amount of the tax itself—have fluctuated widely. Fast forward to the new millennium, Congress enacts the Economic Growth and Tax Relief Reconciliation Act of 2001. This bill phased out the estate tax over the period of 10 years and included a provision that would end the estate tax after that 10-year period. However, this provision was subject to a one-year sunset. Congress did not renew the provision in 2011 and the estate tax came back. Who is Subject to the Estate Tax? Today the estate tax is still alive and kicking. But, the 2016 Tax Cuts and Jobs Act (TCJA) significantly altered who will be affected by the tax. Before the TCJA, estates valued above $ 5.6 million would be subject to the tax. The TCJA raised that rate to $11.18 million for individuals and $22.36 million for married couples. Thus, under the current law, if an estate is valued less than the threshold amount, they will not owe federal estate taxes. While the new threshold amount seems out of reach for most, that amount is set to sunset Jan 1, 2026. After that it will revert back to the $5.56 million amount. Although, there has been a push among some politicians to lower the threshold amount even further. Thus, there is a significant likelihood that we could see the estate tax creep into the lives of the middle class before the 2026 sunset date. Estate and gift taxes work in tandem, meaning that the threshold amount includes both gifts during life and the value of the estate (less applicable deductions and exclusions). This means that an individual will not be taxed on the transfer of a gift during their lives unless the gift puts them over the threshold amount. In other words, an individual can give away up to the threshold amount during their lives and not be subject to the gift tax. But, What About the Gift Exclusion Amount? This is the issue that confuses most people. The best answer is that the exclusion amount (currently $15,000 per person, per year) determines whether or not the gifts given should be reported to the IRS. The IRS keeps a running tally of how much is given during a person’s life time. If at the end of that person’s life they have gifted above the threshold amount, they will be subject to estate taxes. But, if an individual does not make gifts above the exclusion amount, those gifts are not required to be reported and they do not count toward the threshold amount. Fortunately for individuals who want to preserve their assets and protect from depletion of their estate after their passing, we are in a short period of relief from the estate tax. Unless your reportable lifetime gifts exceed the threshold, the value of your estate exceeds the threshold, or both your reportable lifetime gifts and your estate exceed the threshold amount, your estate will not be subject to the federal estate tax. However, it is important to remember the history of the estate tax, namely the frequency at which it has changed. It is important because the estate tax may currently be favorable for most, but history is doomed to repeat itself. That means that the estate tax can once again become a factor for a large percentage of the population. With the recent midterm elections and the upcoming presidential election, there is a significant likelihood that the estate tax can, once again, come knocking at the door of middle-class Americans. If that is the case, there are options out there. Putting assets in trust now, such as a credit shelter trust, will help insulate your assets from a change in the tax laws. Also, making lifetime gifts—under the exclusion amount—can help to spend down your estate below the applicable threshold level. Planning ahead is especially important for seniors because of the three-year rule for gifts. For gifts, there is a three year look back period that begins at the date of death back three years. The three-year rule says that property gratuitously transferred within three years of the decedent’s death is included in the value of the decedent’s estate. Thus, in a quickly changing political climate it is imperative to plan ahead for the inevitable fluctuation in the estate tax threshold level. If you have questions about your estate plan, or how you may be affected by federal or local estate taxes, contact a qualified Estate Planning Attorney to assist you. I’m talking about using a power of attorney after the person passes away. STOP DOING IT! A power of attorney is a document where you appoint someone as your agent, called an attorney in-fact, to act as you. A General Durable POA is for financial and legal purposes. If it’s a Healthcare POA it’s to make healthcare decisions. Stop using the Power of Attorney to access a bank account or do anything AFTER that person has passed away. Plus, you make the Clerk of Court really mad. They are trying to make sure the estate is probated properly. So, what document should you use after someone has passed away? You should use The Will. The Will is where someone qualifies to be the executor of the estate, this gives them the ability to access accounts, property and titles after the person has passed away. The Power of Attorney however, ceases to exist after the person dies. You should stop using it at that time. If there is no Will, you can qualify as the administrator of the estate, and do an estate administration. I’m Greg McIntyre of McIntyre Elder Law. Call me if you have any concerns about Powers of Attorney or Wills and the use of them at 704-259-7040. WHY would you trust your life to a fill-in-the-blanks Document? I know I’m going to make some people mad about this but let me tell you why I think fill-in-the-blank documents are absolutely horrible. A Living Will for example, is a document that decides if you live or die. Whether you are terminal, incurable or brain death has occurred and you are being maintained by respirators, a Living Will determines whether you live or die. Why would you use a fill-in-the-blanks document for this? This document is about your life. Anyone can fill in those blanks. What happens if you leave one or two of those blanks unfilled? Anyone can fill in those blank spaces. I would hate to think there would be foul play involved, but I feel there is a really good reason why you should draft sound legal documents, especially the ones that determine whether you live or die. Why in the world would anyone trust their life to a haphazard fill-in-the-blanks document? I think people and organizations who hand out fill-in-the-legal-blanks documents, including hospitals, are opening themselves up to so much liability, it’s ridiculous. I have seriously thought about this and arrived at a conclusion: There is no common sense in using a fill-in-the-blanks document that decides life or death and how it happens, and it is a terrible legal decision to do so. Hospitals hand these out like candy. It’s a bad decision for the patient andfor the hospital. As said earlier, some people will not agree with me, but I do this for a living and I have seen a multitude of problems with fill-in-the-blanks documents. I’m Greg McIntyre of McIntyre Elder Law and we draft documents such as Living Wills. If you wish to have a professionally drafted document that may decide whether you live or die, give us a call at 704-259-7040 for the Shelby area and 704-998-5800 for Charlotte. These new rules provide more certainty when applying to the VA for needs-based benefits. Give us a call at 704-998-5800 if you would like to talk further about the changes, or to explore whether you or a loved one may qualify.